I recently had the distinct honor and pleasure to document Sonali & Prithvi's wedding ceremonies. 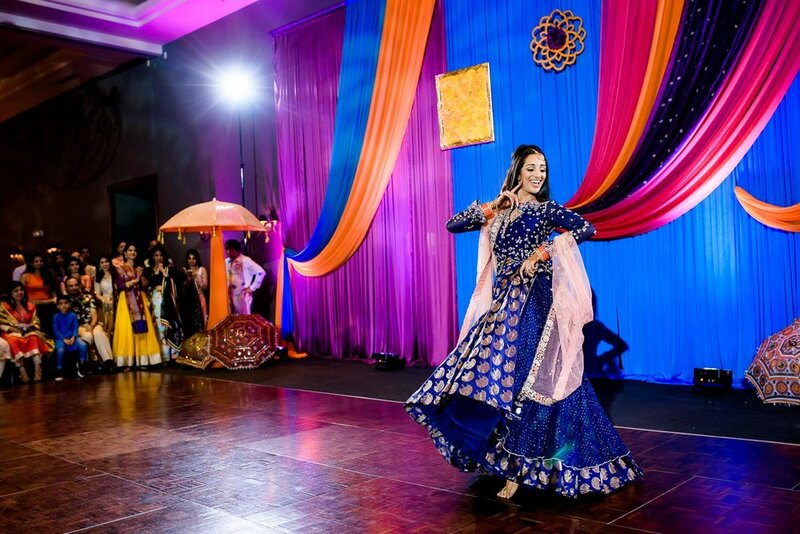 If you're not familiar with Indian / South Asian weddings, they are exceptionally fun multi-day events, steeped in tradition and full of color. I started with their mehndi at the bride's family home. This is the ceremony and ensuing party where the bride has her henna put on. 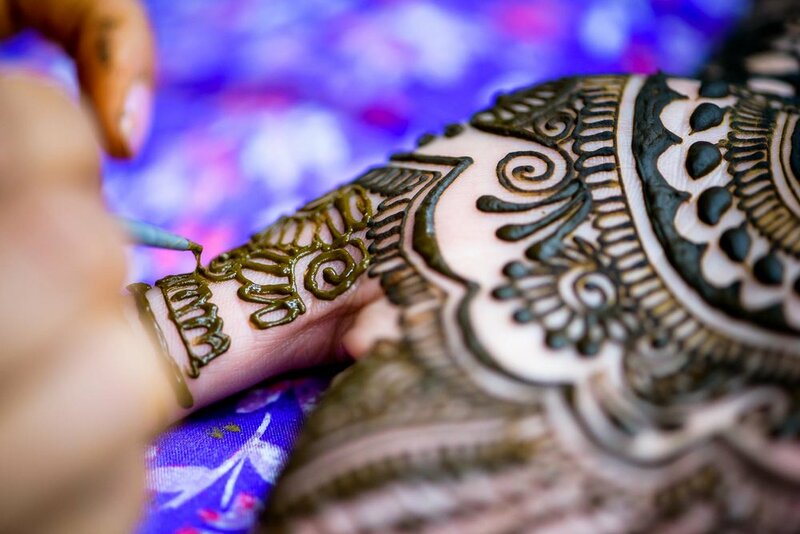 The colored paste dyes the skin, and is used to create temporary body art which the bride will have for the duration of the wedding ceremonies. Since Sonali is largely immobile during the whole affair, she sits in a throne-like setting, so guests can come to her to say hello and celebrate. I also got meet to Sheetal Kumar of Henna Moments, who did an exceptionally beautiful job. Toward the end of the henna creation process, there is of course food, music and lots of dancing! 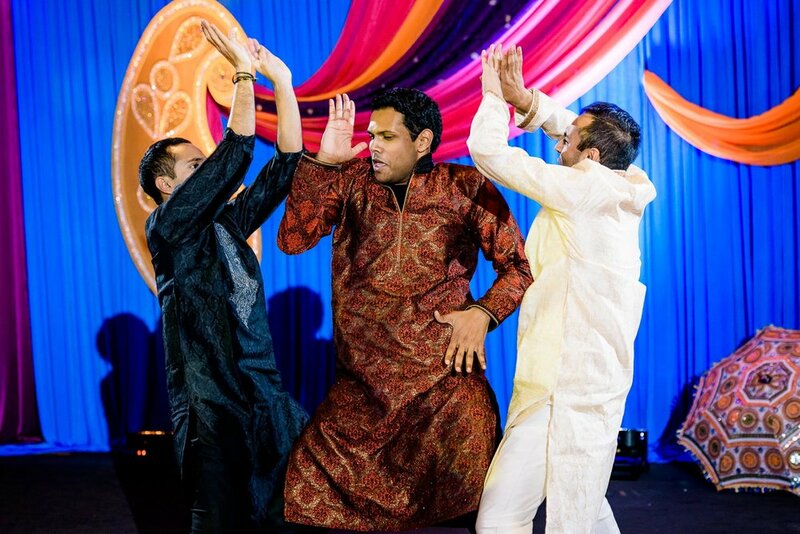 The next evening was the sangeet ceremony. Not as much of a ceremony, but more of an informal party that celebrates the coming together of both families. Though informal, this doesn't mean it was without glamour. The decor was absolutely unreal, and featured a mini bazaar and real motorized rickshaw, a common form of transportation in India. 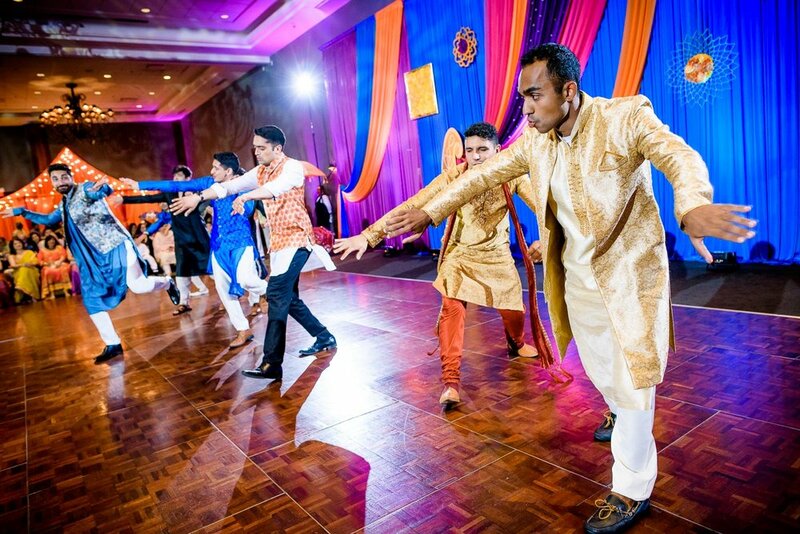 In addition to the food and family mingling, the main feature of a sangeet is the choreographed dances performed by different sides of the family. 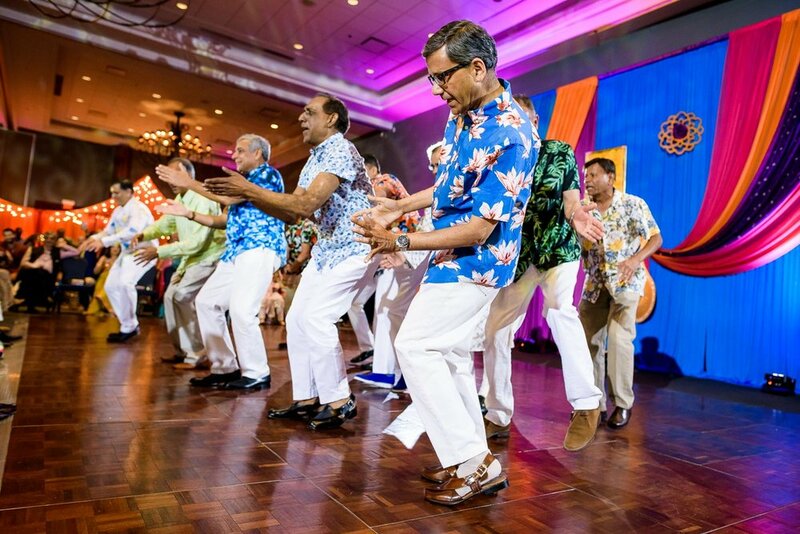 For Sonali & Prithvi's, the dances ranged from hilarious to amazing displays of talent. As a someone who likes authentic moments as much as I do, these pre-wedding ceremonies are simply so much fun to photograph. I cannot thank the couple enough for letting me be a part of it all. Stay tuned for Part II - Sonali & Prithvi's Wedding!